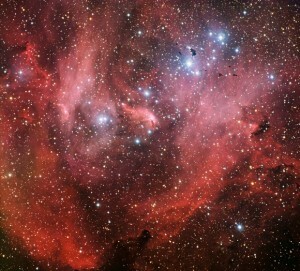 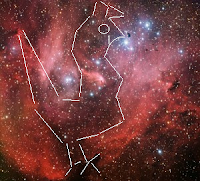 That really is it's name - the Running Chicken Nebula, also known as Lambda Centauri Nebula, also known as IC 2944. 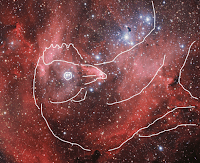 It’s a cloud of hydrogen, illuminated by hot, bright newborn stars, in the direction of the southern constellation Centaurus the Centaur, and some astronomers see a bird-like shape in its brightest region. 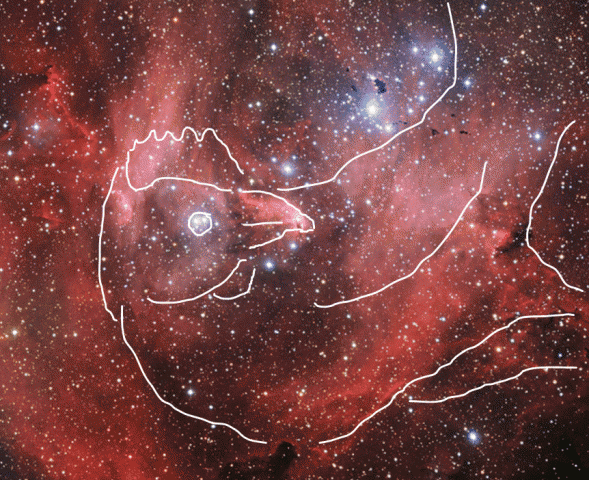 I sort of see it myself, and lots of people (including me) have tried to help by drawing on the photo. Here's one of my tries!